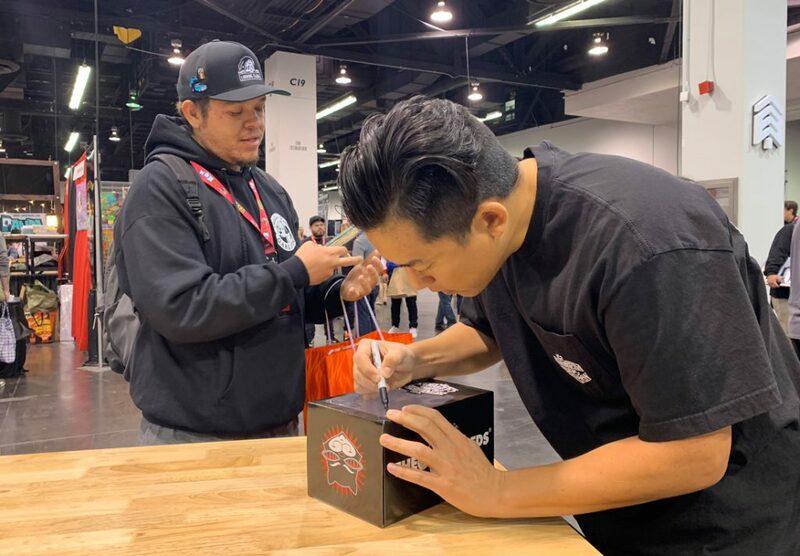 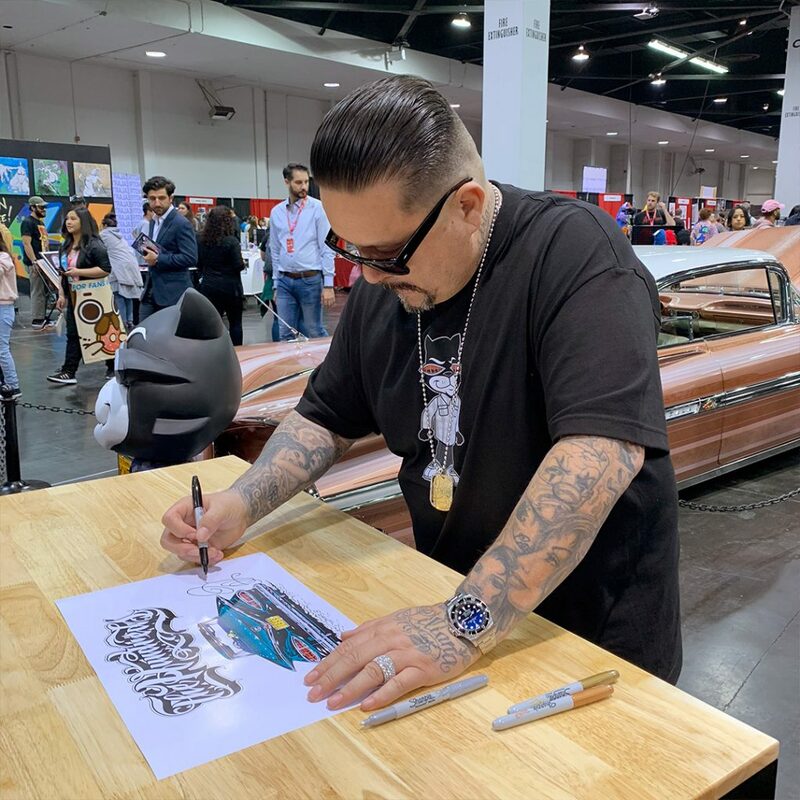 This past weekend, we premiered our The Hundreds by Mister Cartoon collection at DesignerCon. 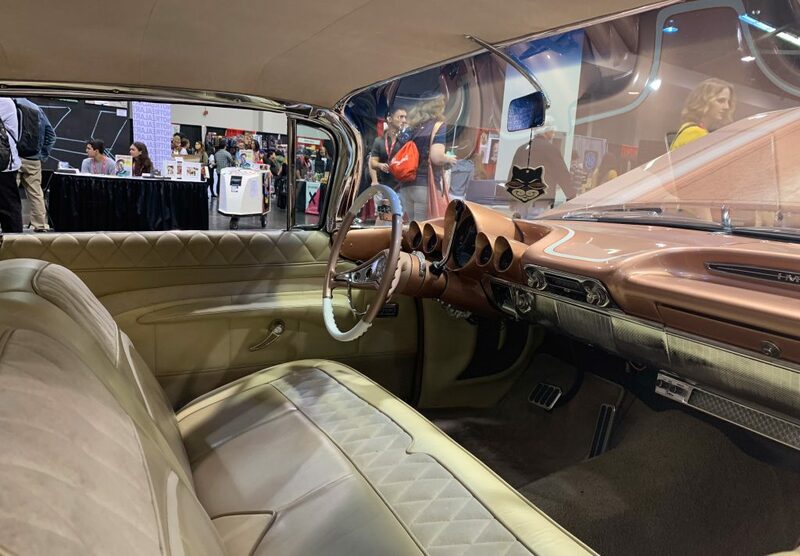 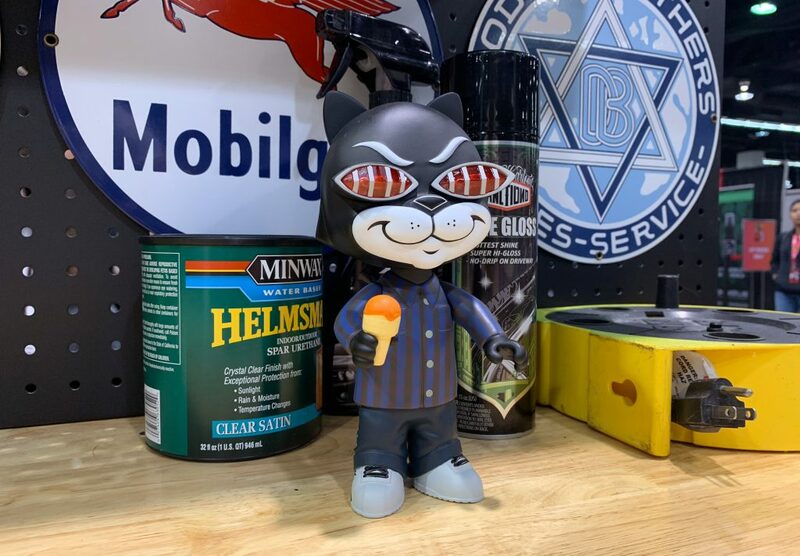 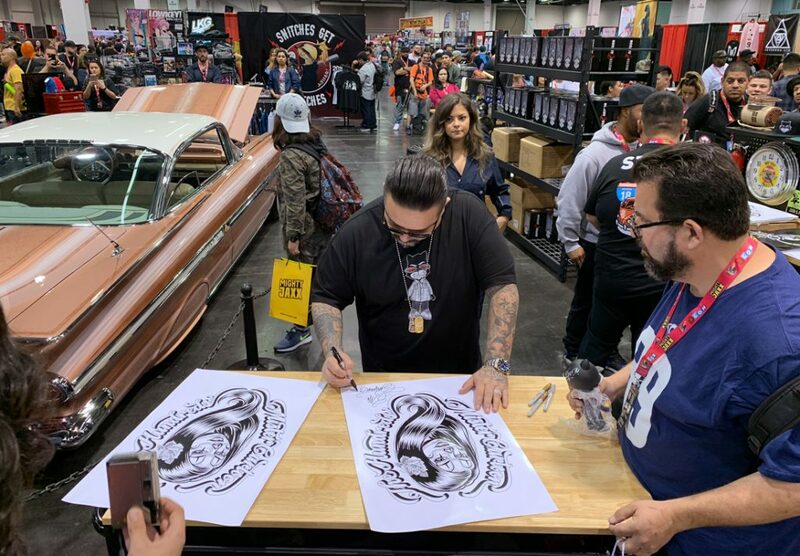 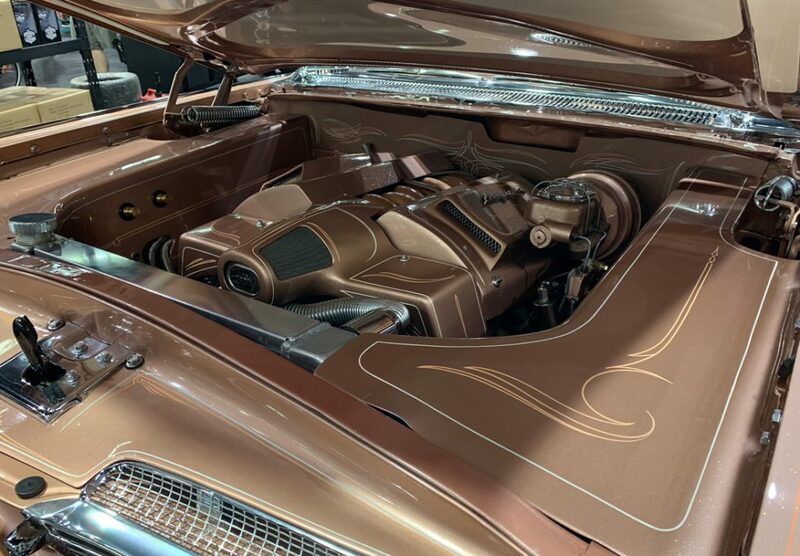 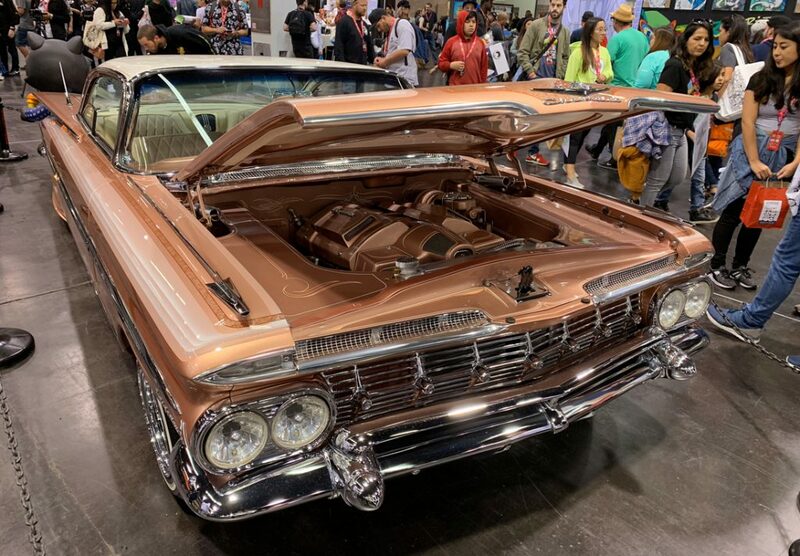 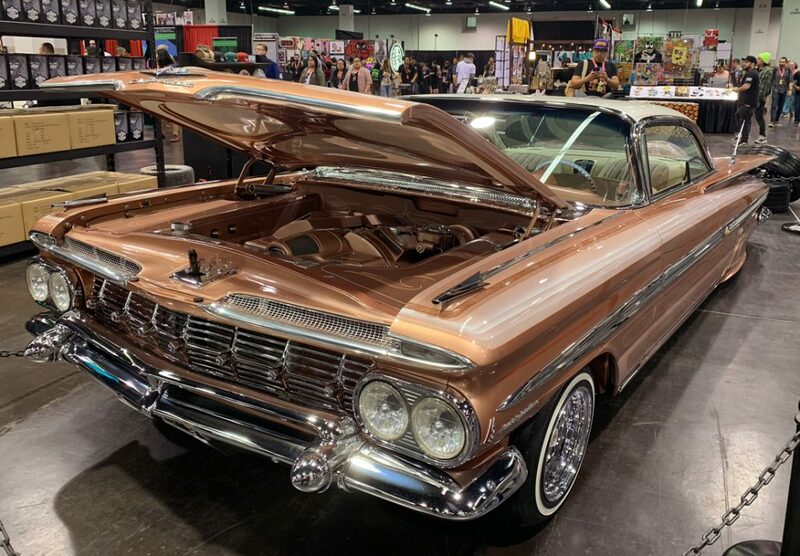 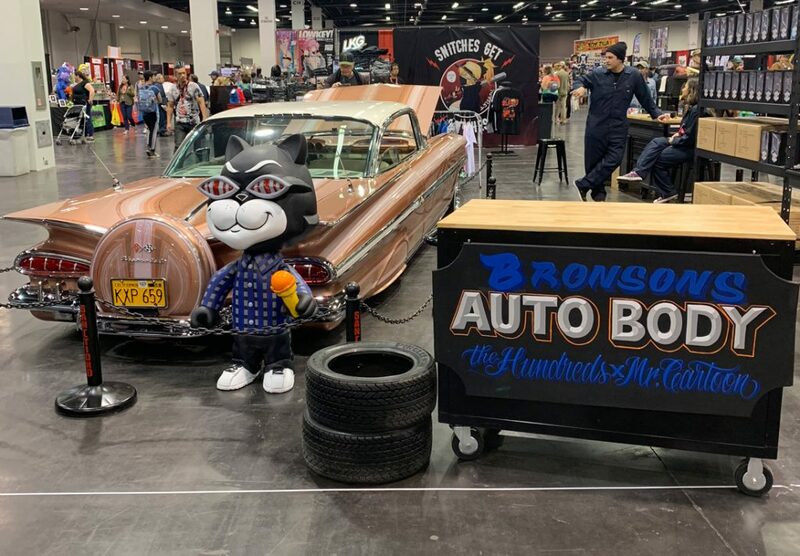 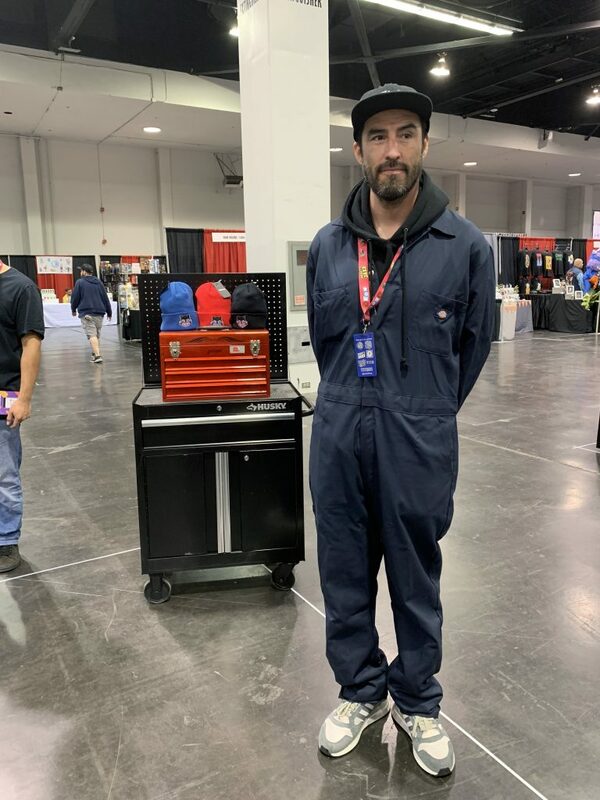 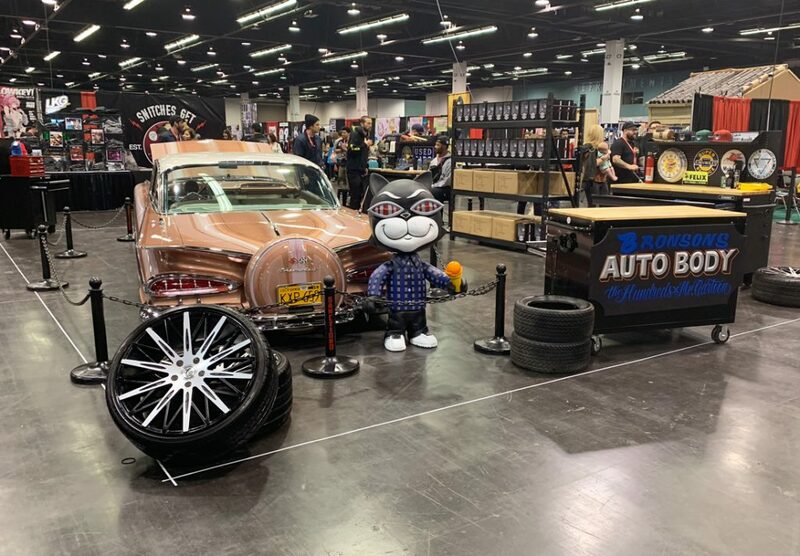 Our repair shop-inspired booth was outfitted with Cartoon’s own ’59 Chevy Impala and a larger-than-life version of his cool cat friend, Bronson. 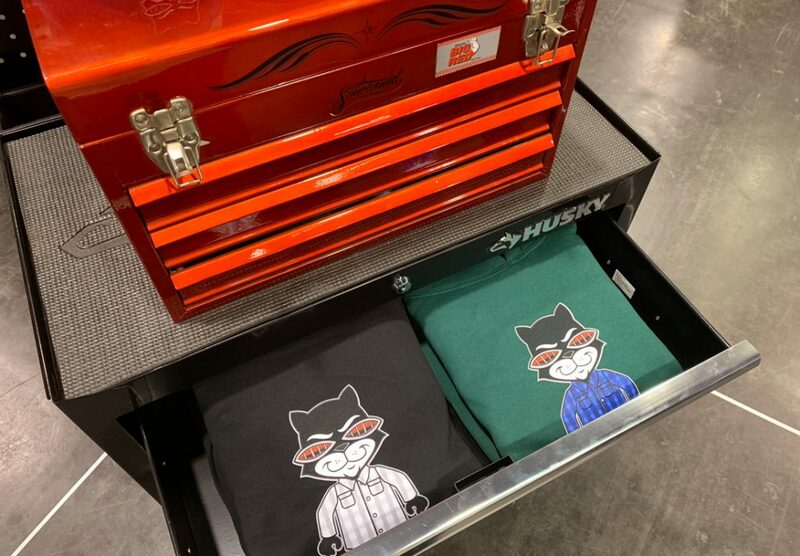 We had our T-shirts and merch for sale in a some heavy-duty rolling cabinets too, just like Cartoon’s own ‘shop’ at home. 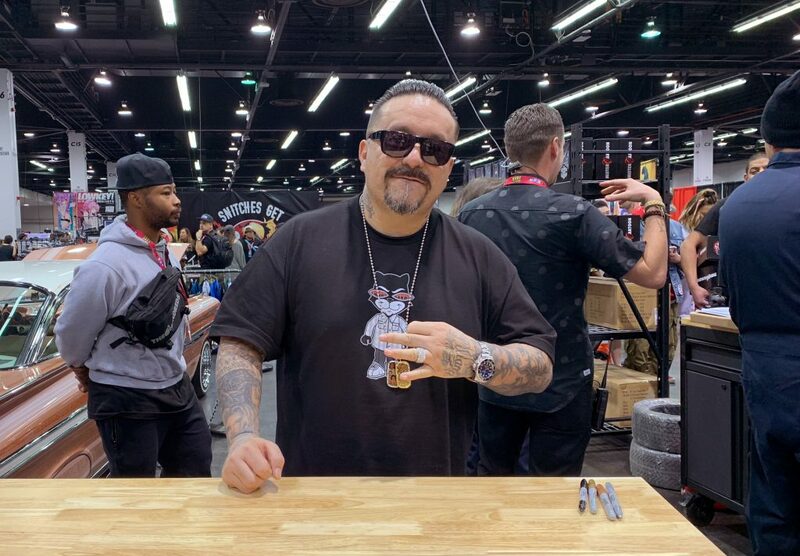 The Hundreds by Mister Cartoon cut & sew designed by the Los Angeles OG himself. 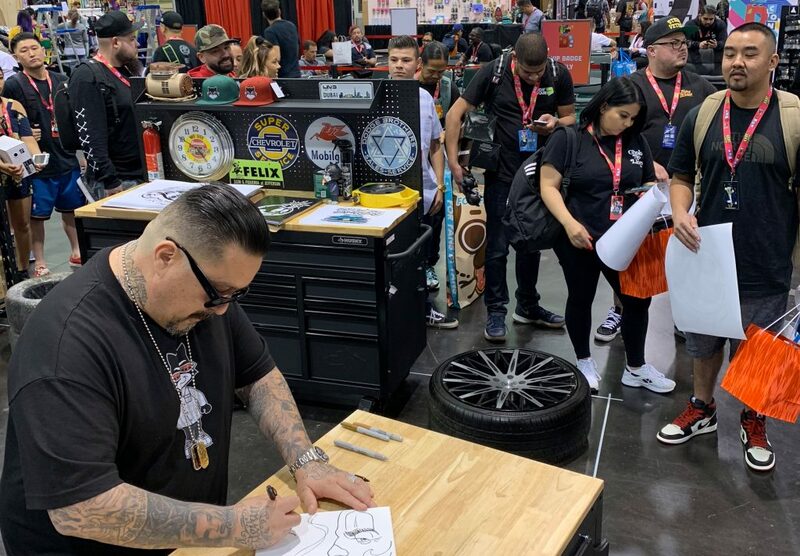 Mister Cartoon himself was on-site for signings on Saturday. 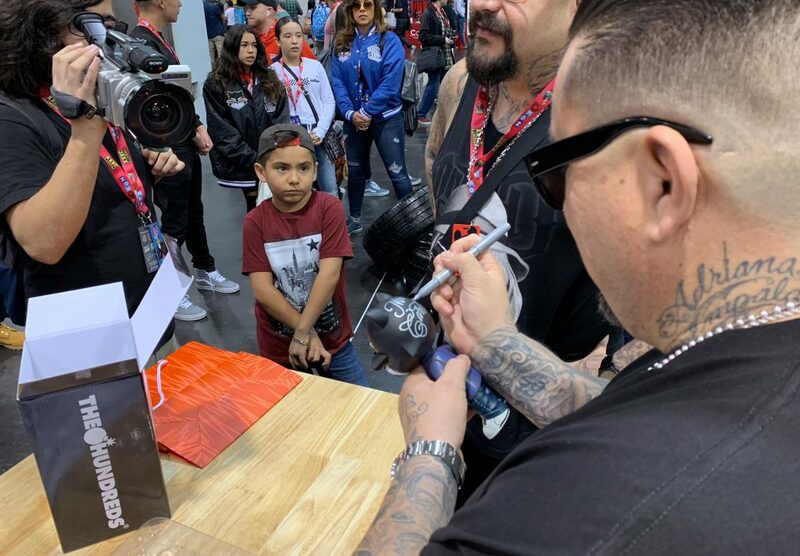 There was a long line, but attendees all agreed it was worth the wait to get a one-off custom Mister Cartoon handstyle signature (and some badass custom drawings). 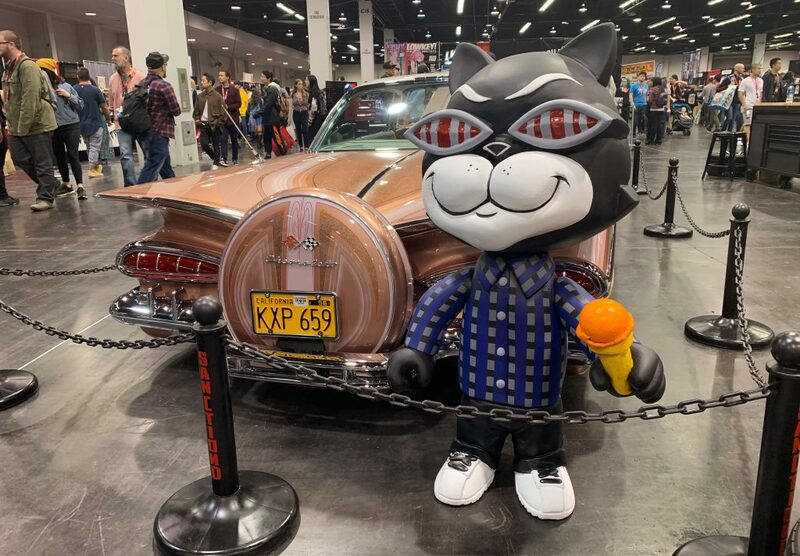 Mister Cartoon rolling up to our DCON booth setup in his 59 Impala. 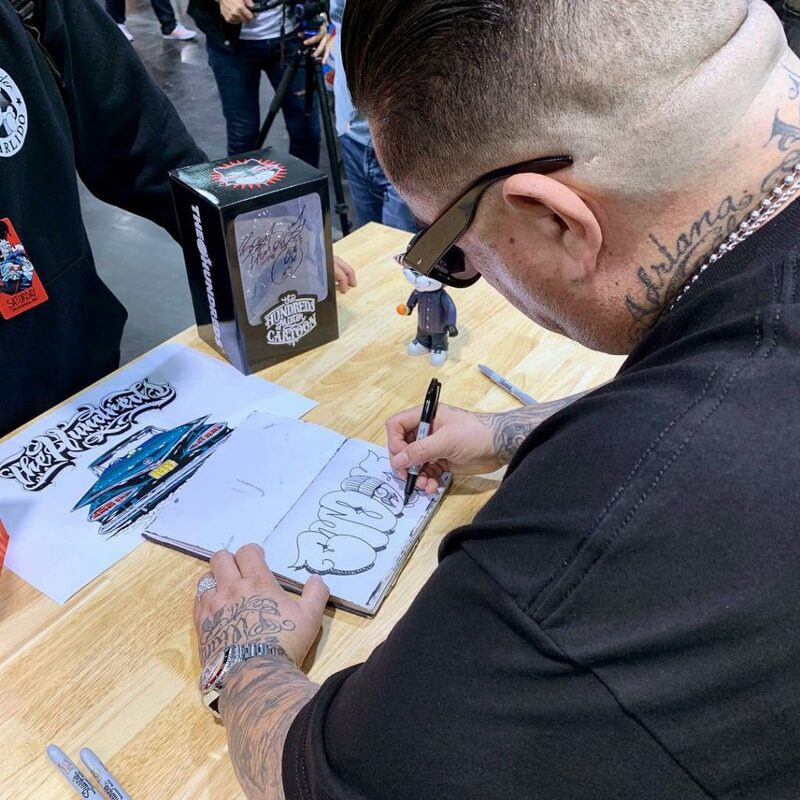 Be the first to get your hands on our collaboration together at @designercon this weekend. 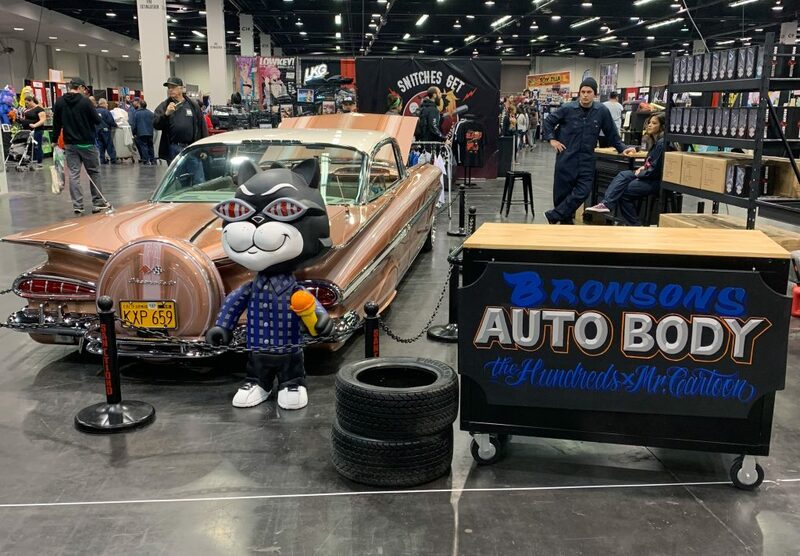 Especially the blue version of our Bronson toy. 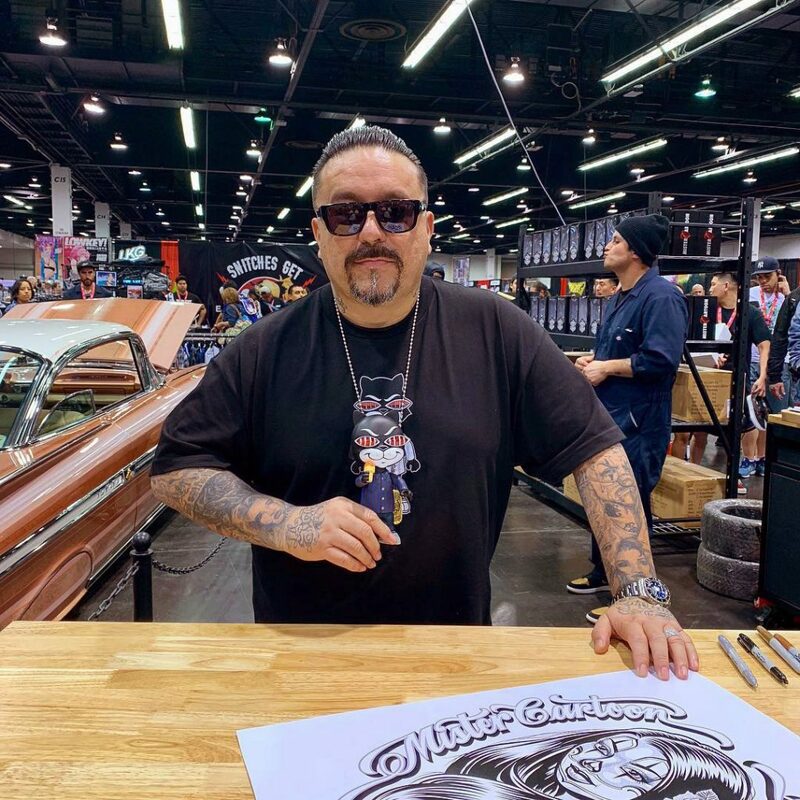 @misterctoons will be signing at the booth on Saturday and I'll be around too. 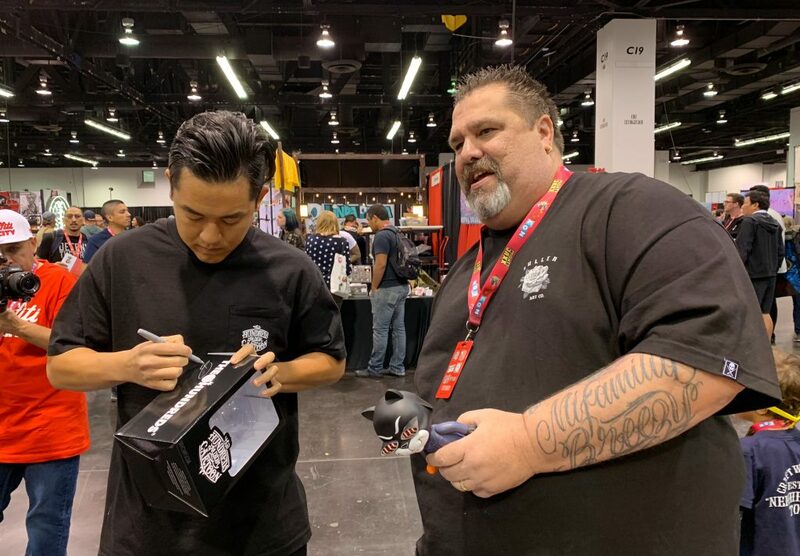 Bobby himself was there to meet & greet fans in the line and do a few signings himself. 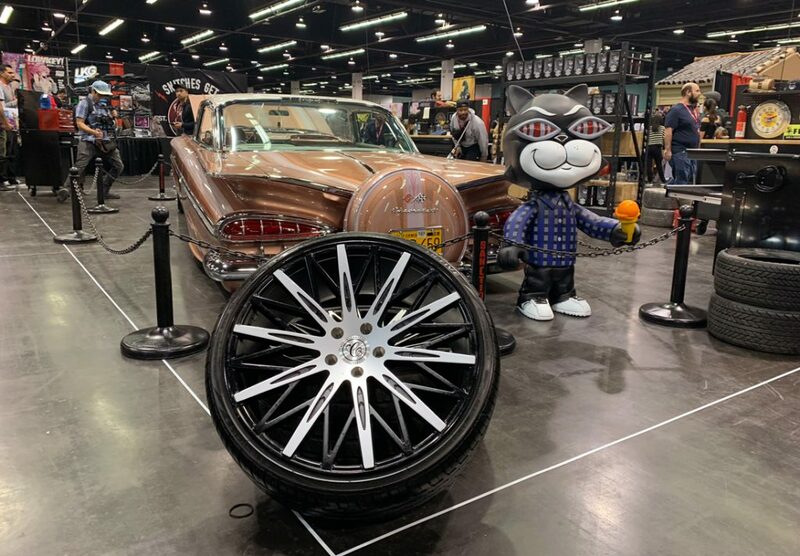 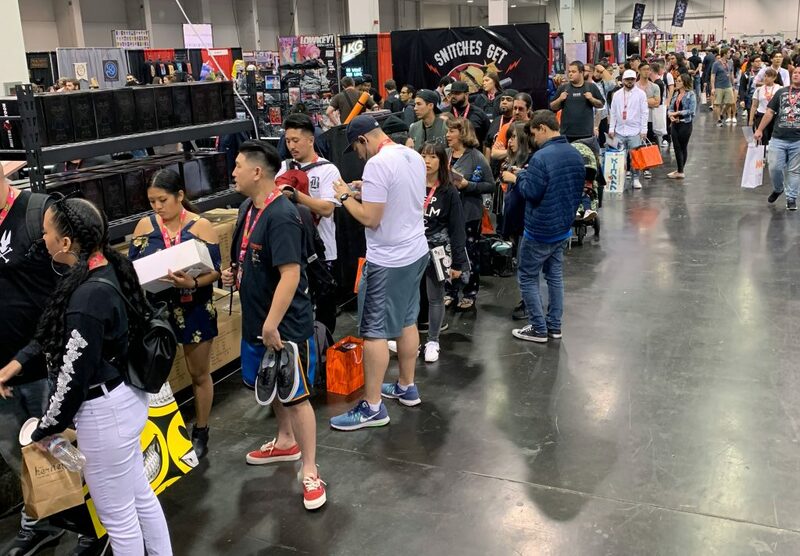 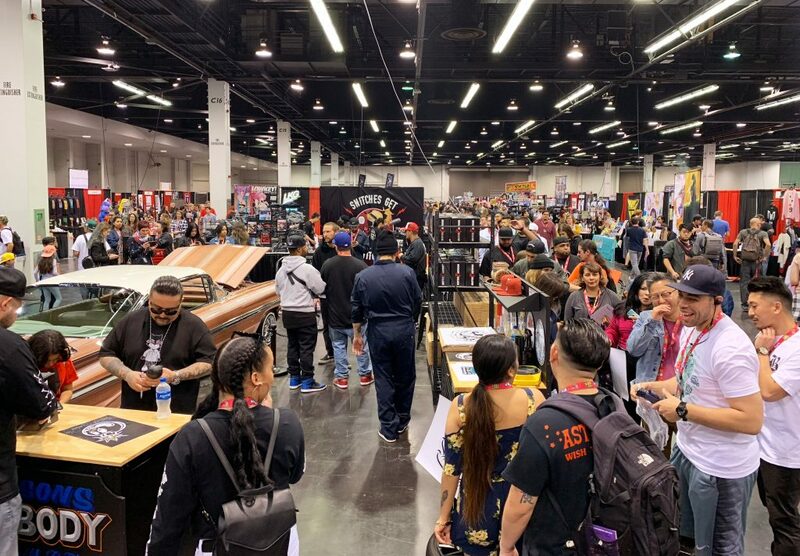 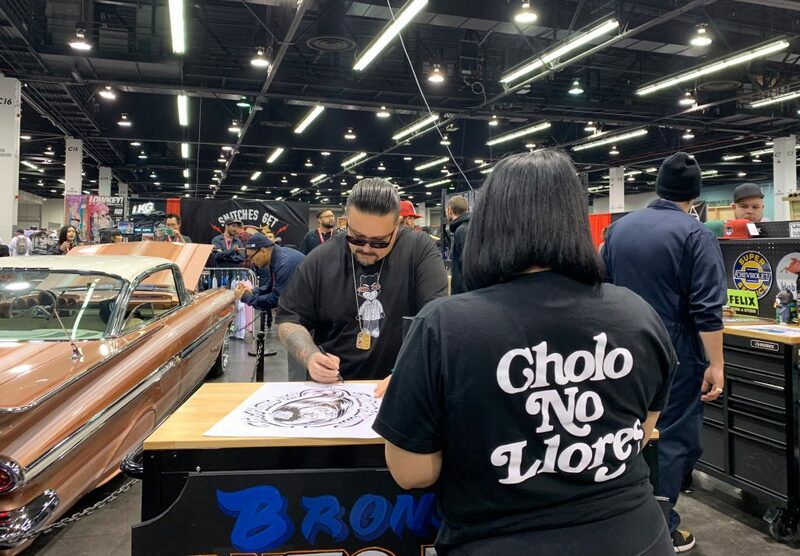 Check out the rest of the recap photos below, shot by Christian Perez, and be sure to cop pieces from the new The Hundreds by Mister Cartoon collaboration in case you missed it. 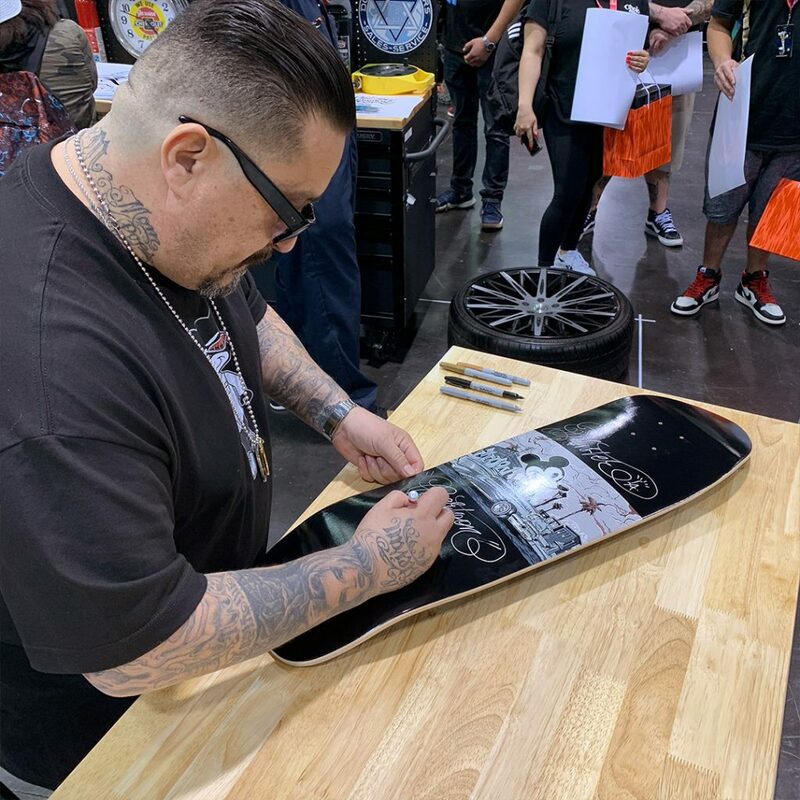 It’s available in our Online Shop (US and UK), The Hundreds Los Angeles, and select retailers worldwide. 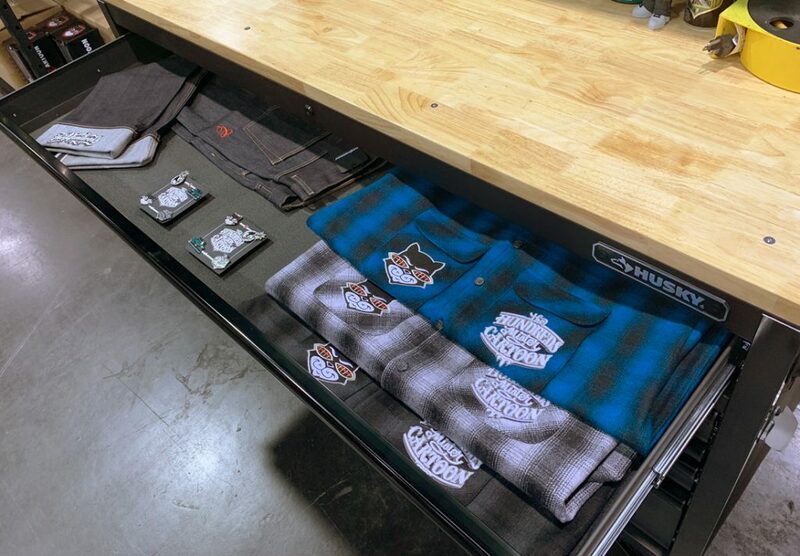 See The Hundreds by Mister Cartoon lookbook here, shot at Mister Cartoon’s own studio.